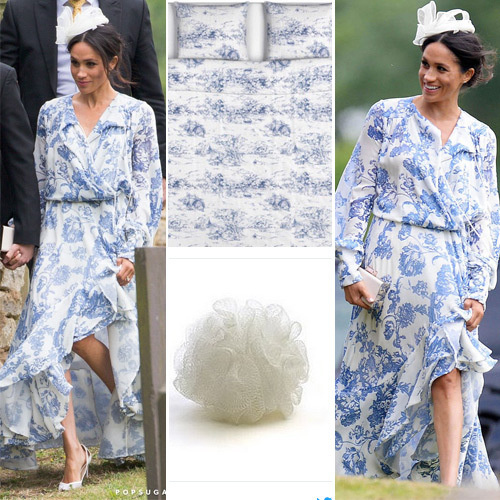 Meghan Markle, the Duchess of Sussex attended a family wedding in Lincolnshire, England, wearing a blue-and-white floral dress that social media said looked too big for svelte Meghan, 36. In a series of jeering tweets, Twitter users described Meghan's 3,922 Pound (Rs 3,53,236) long-sleeved cocktail dress by Oscar de la Renta as "floaty," "loose" and "luxe bohemian." Meanwhile, the Duke of Sussex, Prince Harry wore a suit and blue tie to complement Meghan's summery dress at his cousin Celia McCorquodale's wedding to George Woodhouse at a small church on Saturday.